When the hot summer weather hits and shows no signs of stopping, you, like many homeowners, are probably going to be doing everything in your power to ensure that your home stays cool and comfortable for you and your family. While many homeowners simply crank down the air conditioning to compensate, that can lead to extremely high monthly energy bills depending on how hot the weather actually gets, and most homeowners want to avoid those kinds of energy spikes at all costs while still keeping their home cool and comfortable for themselves and their family. Fortunately, there are a number of different things you can do to improve the comfort of your home this summer without having to run your air conditioning system into the ground, and investing in new window treatments is one of them. There are a number of different, high quality, energy saving window treatment choices out there to choose from, and our team of professionals want to help you find the option that is going to be right for your home. 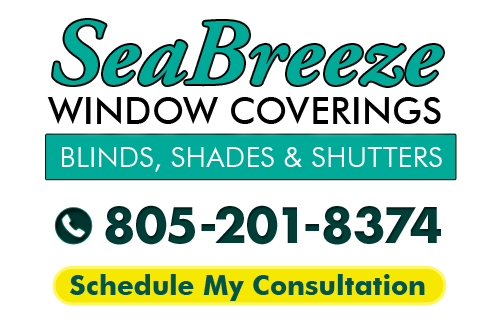 To help you in that effort, we have taken the time to put together this short list detailing just a few of the popular energy-saving window treatments available to you, and how they can help to improve the comfort of your home. While it might not seem like drawing your curtains or drapes closed in the middle of a hot summer day would have much of an effect on the temperature inside your house, you might be surprised to find out just how effective this window treatment can be. There is nothing that heats up the inside of your home like direct sunlight, and depending on the fabric of your curtains or drapes, you can actually cut heat gain in your home by up to 30 percent, especially if you take the time to seal your curtains at the sides and use tape to keep them closed in the middle. This way, your curtains will help to trap and insulate the heat coming through your windows and keep it from the rest of your home. Shades are another window treatment option that insulates your home and keep the heat outside where it belongs. If you install them close enough to your windows, they can help you to seal the cool air inside your home, keeping it nice and cool for you and your family. If you have reversible shades, make sure to keep the white side facing outside during the summer months, as this will help to reflect a bit of the heat back outside. Additionally, if you are looking for shades specifically for this purpose, keep in mind that thicker shades like Roman shades or roller shades are going to provide you with a better insulator than most sheer shade options. Blinds are an excellent option for helping you to insulate the areas around your windows, but because of their horizontal slats, it can sometimes be easy for cool air to escape through them and warm air to find its way inside. To help combat this, make use of highly reflective blinds, and make sure that you keep them securely closed this summer, and you can reduce the heat gain in your home by up to 45 percent. 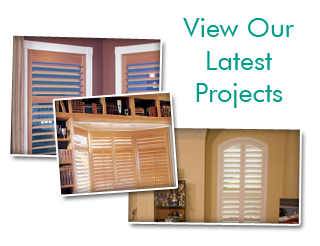 If you are looking for a professional Ventura shutter company, give us a call today at 805-201-8374 or fill out our online request form.